The LEGO Space and City themes need a good monorail system. 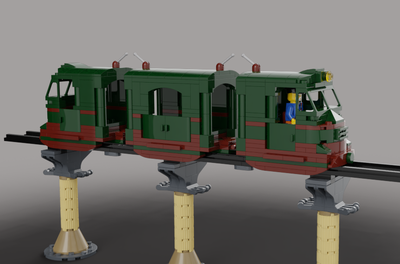 The LEGO Movie included a monorail and rekindled my interest in having one as a set. 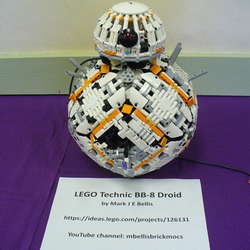 I chose the 2-wide ride-on-top system and improved it with good engineering to make all the necessary functions and to define a potential LEGO set with plenty of play value. The set uses the Classic Space colour scheme but I have also tested prototypes for the Futuron, Blacktron and M-Tron colour schemes. The Space Monorail set includes a fast train of over 0.5m/s (see the videos) with flashing lights. It runs on an oval of track made from four layers of plates and one layer of tiles with track supports. There is a station with a platform, a communications centre, a canopy and a lift for a rover vehicle. There are four cargo modules that fit one-at-a-time either on the train or on the rover vehicle: a tools module, a medical stretcher, a power module and a foldable hover-scooter. The set includes six Space figures, one of each colour, with both male and female characters in the team. The Space Monorail set has exactly the same Power Functions electrical pieces as a train set: a train motor, IR receiver and train handset, AAA battery box and light brick. It also works well with the PF LiPo battery for exhibition layouts, travelling more than 2km of actual distance on one charge. The train design makes the battery easy to change and could adapt to any PF system changes that may apply to new train sets. Best of all, the track will never go obsolete as it is made from basic pieces. The set also includes some landscape pieces for a modern version of the Space crater plate, much loved by Space fans. 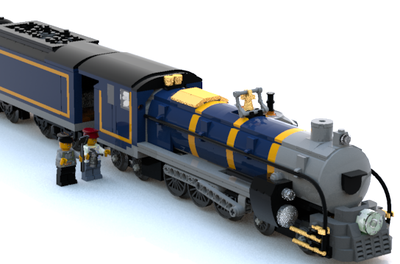 With over 1000 pieces, the set is aimed at age 8+ and is similar to a train set. 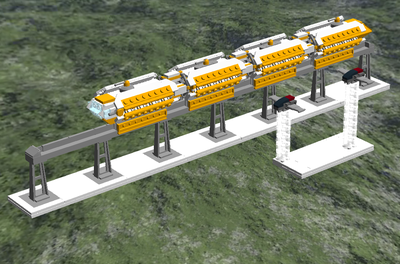 This monorail system is also very expandable and unlimited with multiple sets. Over five years I have developed faster and longer monorail trains, at least four radii of curves that fit on a grid system, multi-point junctions, hills and helical tracks for potential world-record track lengths. I have tested a start-stop rail and a right-angled crossing. This means the engineering is sound for a system that can last. The dark grey track colour in the set is suitable for both Space and City themes but other colours may be added. 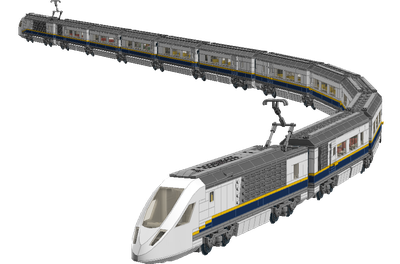 If you would like to see a new LEGO Monorail, especially one with a Space theme, then please support this project.